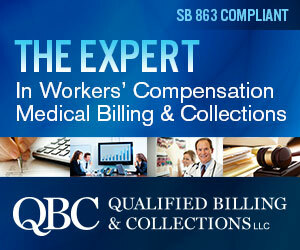 Most medical-only claims adjusting sections in a claims processing manual consist of very few pages. Lost time adjusting takes up the majority of a third-party administrator or insurance carrier claims manual. The medical-only claims adjusting section may or may not cover what is just as important as any lost time adjusting task. The recognizing, converting and immediately handling of a medical-only claim that has become serious has wrecked more than a few employer’s loss histories. If a small claim festers lacking any administration/adjusting, the claim will likely end up being a non-investigated, expensive, out-of-control mess. Some claim systems will catch a small percentage of these claims. Those systems are few and far between. Employee is denied an unauthorized treatment by medical provider. Employee’s newly hired attorney sends in representation notice. Employee calls into claims department to complain about no temporary total disability checks. Claims reserves peg at higher than normal level for a medical-only claim. Claim stays open for months/years. Claim is reopened and then re-closed multiple times to pay bills over a long period. Most medical-only claims adjusting staffs and lost-time adjusters could add many more items to this list. Some claim departments required a recorded interview on even medical-only claims. This sickening requirement caused these claim departments to become overloaded in pending recorded statements. Most claim departments that required recorded statements on all claims changed the task to a recorded statement on all lost time claims and serious medical-only claims. Over the years, I have met and supervised great medical-only claims adjusters who had a gut feeling when a claim was souring and going to be more costly than just a small amount of medical bills paid in the first few weeks. I then discovered one of the techniques of these great medical-only claims adjusters. They had established great two-way communications between themselves and the insured. The adjusters had a great open door policy for the employer to call if they noticed anything suspicious or extraordinary occurring on even the smallest workers' compensation claim. Even if your company does not have this type of communication and relationship with your medical-only adjusters, go ahead and start on it today. If you see anything strange on a medical bill, or if a large medical bill is received on a medical-only, let the medical-only claims adjusting staff know about it immediately. If the employee has an unexplained absence after reporting a medical-only claim, get in touch with the medical-only adjuster as soon as possible. Email your medical-only claims adjuster instead of calling in most cases. The email will allow the adjuster time to pull up the file and then discuss it with the lost-time adjuster or medical-only claims adjusting supervisor. This blog post is provided by James Moore, AIC, MBA, ChFC, ARM, and is republished with permission from J&L Risk Management Consultants. Visit the full website at www.cutcompcosts.com.